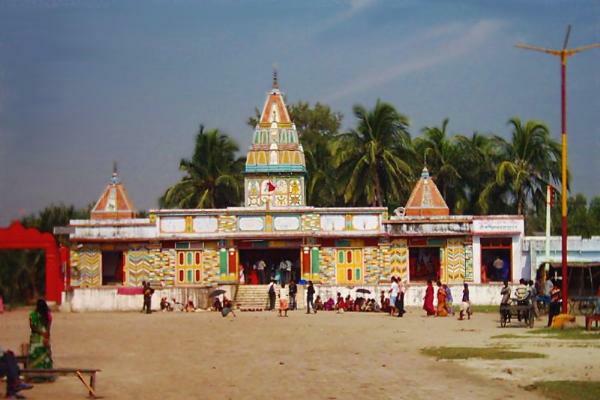 The famous Hindu temple is on Sagar Island, the southernmost part of West Bengal. The legend says, Sri Swamy Ramanand built the original temple in 1437 AD. There after the temple was reconstructed twice due to the flood from the sea. The present temple dates back to 1961. Shri. B. C.Roy, the then Chief Minister of Bengal, took the lead to reconstruct it. The temple is the focal point of the Ganga Sagar mela held on Makar Sankranthi. Many devotees throng the area where holy river Ganga meets the Bay of Bengal. Having a dip on the confluence on that day is believed to be auspicious. The temple is 130 kilometers from Kolkata. One can reach Kakadwip by train or road from Kol kata then to Herwood point and by boat to Sagardwip thereafter.